What are the 189 & 190 Visas? The Skilled Independent Visa and the Skilled Nominated Visa are both designed to allow young, skilled and experienced people to live and work in Australia. They are different from other visas in that they are points tested, as opposed to visas granted on the basis of sponsorship by employers. What’s the Difference Between the 189 and 190 Visas? This is one of the most commonly asked questions by people who are planning on moving to Australia. The main difference is that the Skilled Independent Visa (189) has no sponsorship requirement, whereas the holder of a Skilled Nominated Visa (190) must be “sponsored” by a state or territory. Those who are granted a “sponsored” visa have some obligations related to where they live that those on an independent visa do not have. Getting nomination by an Australian state or territory. This involves making an additional, separate application to the state/territory and meeting their unique requirements. Upon approval, moving to your nominated state/territory within 6 months of moving to Australia. Living and working in your nominated state/territory for at least 2 years. The occupations nominated for a 190 visa must be chosen from the Combined List of Eligible Skilled Occupations, whereas the occupation for an 189 visa must be chosen from the Medium and Long Term Strategic Skills List (‘MLTSSL’). With a 190 visa, you can receive an additional 5 points towards your points test factors if you’re short on meeting the point’s requirement. Skilled Nominated Visa applicants should choose this from the Combined List of Eligible Skilled Occupations. Skilled Independent Visa applications should choose this from the Medium and Long Term Strategic Skills List. Once you’ve chosen an occupation, if your qualifications were obtained outside of Australia you must then pass a skills assessment. These are conducted by your chosen industry’s assessing authorities and are used to make sure that your skills meet Australian standards. With your occupation chosen and your skills assessment completed, the next step towards obtaining either the Skilled Nominated Visa or the Skilled Independent Visa is lodging an Expression of Interest (EOI) through the government’s SkillSelect service. To lodge an EOI, you must also score at least 65 points against points test factors. These points are awarded for age, English language ability, skilled employment, qualifications and other factors. You can assess your points by using our online Skilled Visa Points Test Calculator. This step is only for those applying for a Skilled Nominated Visa (190). Each state/territory has its own list of jobs that it needs to be filled, which is why 190 visa applications must submit a state sponsorship application. You can indicate which state/territory you’d like to work in. This process is different from getting sponsored by an employer. The purpose of this requirement is not to match you with an individual employer – it is to locate you in a state where there is a shortage of the skills that you have. Each state/territory has its own requirements; you can view them here. If your Expression of Interest is successful, you’ll be invited to apply for either a Skilled Independent Visa or a Skilled Nominated Visa. You are given 60 days from receiving this invitation to lodge your application, and you must not change the information you submitted in your EOI during this period. The process of getting together all of the documentation and passing the prerequisites to obtain a skilled independent visa or a skilled nominated visa can be highly stressful. We help you collect all of the documentation you’ll need to lodge your Expression of Interest and subsequent skilled independent visa or skilled nominated visa application properly. The Department of Immigration recommends having these documents ready before you submit your Expression of Interest. We help you have everything in place so that you’ll have the best chance at obtaining a quick approval and not having to waste money on multiple applications because of technical errors. 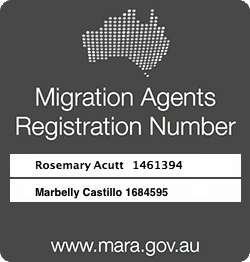 Before you contact anyone about your skills assessment, contact QLD Migration Practice for advice about how to start your application on the best foot. We have a deep understanding of the Australian job market, and will help you start by selecting the occupation with the best chance of bringing about a successful application. We’ll then help you organise and carry out a successful skills assessment with the relevant industry body. Application fees must be lodged in full when you submit your Skilled Independent Visa or Skilled Nominated Visa applications. The charge to log your application is the same for both of these types of visas. These fees will vary, however, depending on your individual circumstances. 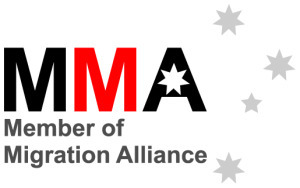 You can calculate fee estimates using the Department of Immigration’s Visa Pricing Estimator. Sometimes circumstances change, and you may not be aware that you need to let the department know. We help you keep the department happy by advising you of what paperwork you need to complete and any additional forms you may need to submit while staying in Australia. Many of our clients wish to help their family members obtain permanent residence in Australia. Once your Skilled Independent Visa or Skilled Nominated Visa has been granted, we will advise you as to the best way to go about in applying for additional visas for family members. Has your visa application been rejected? Have you breached the terms of your visa and it has now been cancelled? Did you forget to notify the Department about important changes to your circumstances? All of these problems happen to many people along their migration journey. What is important is that you do not attempt to deal with the complex legal issues surrounding immigration on your own. 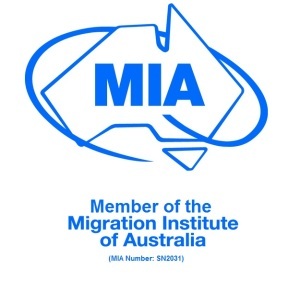 At Queensland Migration Practice we will provide you with the advice you need to remain in Australia. If you want to apply for a Skilled Independent Visa 189 or a Skilled Nominated Visa 190, don’t hesitate to contact Queensland Migration Practice. We’ll help you every step of the way, from deciding on the job that best meets the Australian workforce, through to preparing documentation and lodging your application and helping you meet all the other criteria. And if you need your current visa decision reviewed, we’re the pre-eminent specialists in the field. Need more information? 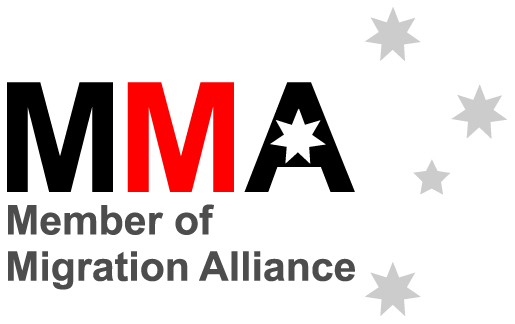 Contact us today for an assessment of your visa eligibility and options, or an explanation of the instructions on the Department of Immigration and Border Protection website. Simply dial (07) 3194 9152 or email [email protected] and we’ll start you on your way towards obtaining a Skilled Independent Visa or a Skilled Nominated Visa.